Comfort. We all know the saying “There’s no place like home”, but this is often especially true when a senior has lived in a home for years or has lost a spouse. Uprooting from such familiarity can have drastic affects. Community Ties. More often seniors are developing strong community ties well into their retirement years. 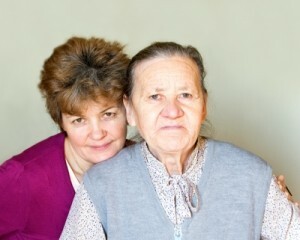 Family and friends are wonderful for grounding an aging loved one. Independence. Remaining independent keeps seniors healthier than ever realized before. It also allows them to continue doing many of the things they have always done and enjoyed. Mentality. Our home life strongly impacts how we feel mentally. If a senior stays home to age they are likely to feel much better and happier than one that has been put into a nursing home or assisted care facility.